‘Hello everybody, assuming you can hear me! I am the ghost of Aristotle, and I haunt the Elwin room at BRLSI, especially when the Philosophers have their meetings and are in their full, satisfyingly “middle-excluding” flow, forensically objectifying, reifying, and literalising everything that their minds can come up with. I must tell you, however, that I am in “shock”! ‘Into this hallowed room (I remember a gratifying visiting Professor of Logic, who, whilst debunking “Eastern Philosophy”, and cutting short his fourteen pages of definitions of “consciousness”, waved his arms in the air, inviting in the energy to energise the very expression of his de-bunking – which intangibility I can not possibly recognise, classify, or exonerate) came one Lindsay Clarke, propagating one irritatingly intangible “(A Dance With) Hermes”, full of vital “presence”, whom I hoped I had seen off aeons ago. Give me Apollo any day. His Talk, (or was it a Lecture, or a Book-relaunch), had the normal BRLSI format of Introduction, Talk, and Questions – but how long would he go on for, with Questions, to give the audience time to sign that tall pile of books I could see, that they might or might not wish to buy? ‘My normal, space-excluding, rigorously defined categories, which allow no variation within them (for me, white is white, and black, black, rather than anything varying between), were challenged from the outset. So, a “A Talk is a Talk, not a Book re-Launch as well”, and I resent having my question-time squeezed! (I’ll have to invent another category, which will then also be “objecti-fiction”, but don’t tell anyone.) LC talked of Hermes as a “betwixt and between, THRESHOLD sort of creature; mischievous, equivocal and nonchalant about boundaries and definitions”. Ugh! (I once heard of an Anthropologist called Mary Douglas, who wrote a book called Purity and Danger. Plenty of impurity here! Of course, I must discount any emotional reaction I might have.) This trickster “god” already had us “by the goolies”, to use a metaphor that I shouldn’t. LC then went on to tell us that he himself had already received the same treatment! He explained that Hermes would never let him be pinned down (in any categorical system); so, were his “Poems” really poems, with or without the quotation marks, or were they verses, or “squibs” – “call them what you like”! If that was not enough, Hermes confused the rhyming schemes, again to defy the usual. Then LC mixed his talk with “poems” to illustrate just how far Hermes tweaks the “normal forms” and dancingly inhabits the “twixt thresholds”. When it came to Questions, I sensed that the audience, so transmogrified and bemused (the Philosophers had probably voted with their feet beforehand, and the event was promoted for a general audience rather than specifically for the poetry afficionados) that they could hardly articulate any question or argument sophisticated enough for my taste, even with LC moving to the front. BUT they found Lindsay Clarke, and what he had to say, “wonderful”! I was warned off from the outset, through the introducer’s accolades for LC’s novel, The Chymical Wedding – “alchemy”, I ask you! She then foreclosed the Questions – or were they Comments? – because there were few, so far—or perhaps because of that heap of books waiting? As a good empiricist, I do not have quite enough evidence to say. More shock – the queue was very long, and, instead of leaving, people talked while they waited. Few left immediately! All that vigorous though strangely calm hermetic “stirring up”, and the Clarkey intangible “presence”, had had its effect! I don’t begin to understand, or where to start on the “Content”! Hello everybody. I’m Ken Masters, an old colleague of Lindsay’s from way back, re-met in good old BRLSI; and I am now writing this blog by invitation. Hope I won’t let you down. Such a shame, Aristotle, that you continue to haunt, and not just BRLSI. Through your ‘abstract rationality’, and ‘scientific knowledge’ based on it, you dismiss the ‘intangible’, and objectify; for instance, as you start to train us to use would-be empathic, artificially intelligent robots; to perceive living organisms as machines, computers; see trees as ‘sticks in the ground’ rather than fountains of water-flow, etc., etc.! Perhaps Alan Rayner will help us to see how old Aristotle remains important – but in his place. Alan’s recent book is called The Origins of Life Patterns in the Natural Inclusion of Space in Flux, and he gave it to Lindsay at BRLSI. He also goes on to say, in another email, ‘yes, I think some others would greatly enjoy Lindsay’s book, notwithstanding a bit of “All-oneness” in places, which Hermes would not appreciate. It is a work of creative verbal genius and classical scholarship … I had this extraordinary dream about the tennis match between Apollo and Hermes (some years ago) before my breakdown/breakthrough into explicit awareness of Natural Inclusionality began … Humanity now needs Hermes, and it needs N.I. very badly.’ (Which is why I, KM, am blogging.) So, what’s this about a ‘bit of “All-oneness”’, and why would Hermes not like it? My Commentary on the ‘nutshell’: I hoped Hermes would refuse to listen to poor old Aristotle, especially where the ‘living and the intangible’ are concerned; and instead of ‘excluding the middle’ between LIGHT and DARK, facilitate the ‘mutually inclusive embrace’ instead. ‘Dark and light’ are distinct, but never discrete, separate, or opposites. (We can consider the Daoist yin/yang sign, with the yin dynamically within the yin and vice versa.) They are not to be entirely merged into an invariable, indefinite, All-one, grey ‘whole’, as the world turns, but mutually and dynamically embrace, ‘distinct but never entirely discrete’. But this is not quite what Hermes seems to do, in ‘His Opus’, no. 3, ‘Coniunctio’. ‘“Separate; coagulate” … First analyse the mass in [separate, Aristotle] pieces, then [with Plato] bring together what’s been torn apart … Sun and Moon, the King and Queen are contraries that must be reconciled before he can be whole, and from their union, a child.’ Seems logical? Yes, but this is the very approach Aristotle likes: ‘coagulating “Oneness”’. However, in ‘He [Hermes] Takes Off’: ‘Beyond sleep and waking, life and death, he flies into that elusive space that opens up where fire and water, heavy earth and and weightless air, and all such opposites are reconciled by his sublime imagination.’ Something different does happen. What? energetic flow that the trained inner eye can actually perceive. This is why I am a Qi Gong practitioner, and why this authentic Daoist tradition validates Natural Inclusion as a perspective that I believe we need to become paradigmatic (though not ‘complete’). Neither Abstract Rationality nor Holism will quite do. ‘Wholes’ are usually thought of as ‘definitively, completely, and rigidly bounded “Unities”, entirely abstracted from context; either an aggregation of likewise separate, identical smaller “wholes”, or a “total, utterly homogenised”, merged, blend. My introduction to Qi Gong, with a Chinese master, was to ‘imagine all the spaces in our bodies’ – e.g. between organs – then find that, with a light focus, they start to blend. We then become, within our skin, ‘empty’. In deep meditation, this skin itself ‘dissolves’ within consciousness, but not entirely. In Buddhist meditation, the body can appear entirely to disappear, into the ‘all’. In Qi Gong meditation, there is still perception of some ‘distinctiveness’. We do not lose our uniqueness into the ‘Unity’. Instead of ‘Wholes’, Alan prefers to talk about ‘Holes’, ‘Hollows’, ‘Emptiness’, in personal experience and his own Natural Inclusional ‘practice’. From this vitality of the imagination, emptiness, comes the sense and perception of ‘no severance’ from other life-forms, which implies being ‘fully-present-with’, immediacy. I sense this with Lindsay, and it involves a hermetic transformation. If we cannot do this, or at least accept it as a possibility, we are in the hands of building literal and perceptual WALLS to protect our (spurious) sense of ‘unity’ and ‘completion’. each time we think we’ve got the explanation. itself as literally true … nor, he thinks, should we. I thank Alan Rayner, over the years, for sharing his naturally derived perspective, truth, of Natural Inclusion. His vitality and imagination, creativity in poetry and art, surely come, as do Lindsay’s, from ‘no isolation, or severance’. I thank Lindsay Clarke for The Chymical Wedding, The Water Theatre, and now for his extraordinary and very special ‘Dance with Hermes’; for the wonderful ‘no-isolation, or severance’. Words and logic alone cannot express truth as merely literal, even when talking of space, energy, flux, stillness, infinity everywhere and form somewhere. Look Alan up at the ‘bestthinking’ website, or on YouTube? His radical, evolutionary perspective of Natural Inclusion is something I need, like I need Hermes, and I don’t think I’m the only one. Lindsay wrote his ‘Note on the Threshold’ to introduce. He and Hermes seem to me to be also at the threshold of Natural Inclusion. Hermes, in ‘Koinos Hermes’, is ‘ever the unexpected messenger, who sends you glimpses of the wet fire and the lit dark in the loded stone’. But I’m not entirely convinced that the ‘magic work, of which one may not speak’, with HIM ‘begins and ends’ alone, unless it questions what he himself appears to say. I think it does. That was just the start of it. Hermes was surely at work. Hope you have enjoyed it. A Dance With Hermes is a verse sequence in which award-winning novelist Lindsay Clarke explores the trickster nature of Hermes, the messenger god of imagination. Clarke travels with Hermes into the shifting possibilities of language, dreams, travel, theft, tweets, and trading floors, alchemy and the otherworld. to point his wand at philosophic gold. of which one may not speak, begins and ends. In this video, Lindsay Clarke talks about poetry, language, and the imagination. This was recorded at the launch of Rosie Jackson’s ‘What the Ground Holds’ Bath UK, 1st October 2014. The next Frome Poetry Cafe on Monday 24th features two major names, both reading from their new publications: Whitbread-winning author Lindsay Clarke is joined by Bristol poet Matt Duggan, whose previous collection won the 2015 Erbacce prize for poetry, in an unusual collaboration which we think you will find fascinating and thought-provoking. A Dance With Hermes is published by Awen and is available from amazon. There will be an Open Mic session as part of the evening, where you can share your own words. Venue: The Garden Cafe, in Stony Street. Entry is just £2 on the door, and there will be books on sale! Organic snacks and drinks will be available. Doors open 7pm for 7.30 start and early arrival recommended as space is limited. And in particular, as the title tells us, these poems are about the multi-faceted, shifting forces embodied by the winged god Hermes – messenger god of thresholds and trade, guide of travellers and of the newly dead, part unreliable trickster, part helpful companion. In addition to these attributes and roles, Hermes holds the Caduceus, entwined with two snakes, which is associated with healing and, as precursor to the magic wand, with the transformative powers of the imagination. Hermes, inventor of the lyre, also represents music and poetry. And in his many guises, moods and roles Hermes represents the unpredictable, spontaneous dance of our imaginative and creative potential. In addition to a foreword by Jules Cashford (translator of The Homeric Hymns for Penguin and author of The Moon: Symbol of Transformation from Greystone Press), there is a helpful introduction by Clarke, in which he lays out a condensed yet clear overview of the evolution and attributes of Hermes from primitive times to his appearance in the Homeric Hymn to Hermes around the seventh century BC, and how later his name was given to the western Hermetic tradition of thought, an influence vital to the energies of the Renaissance and to the occult, symbolic world of alchemy. 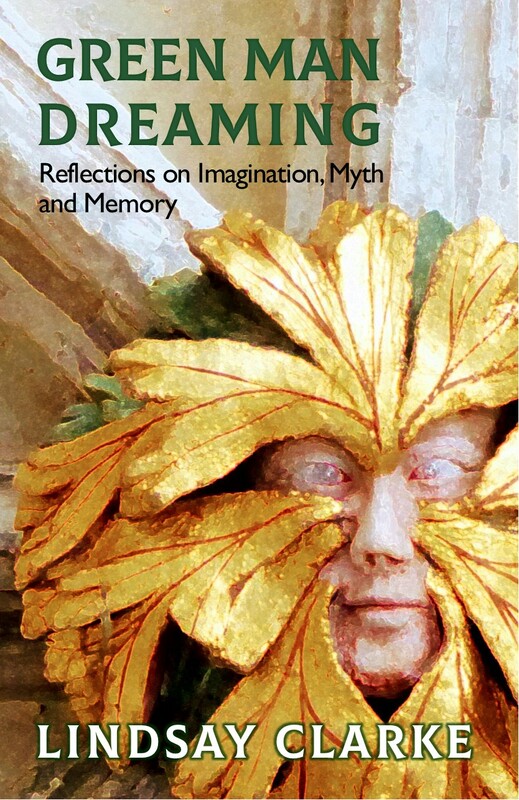 Clarke also recounts how the origin of this collection was inspired by his friend John Moat’s memoir Anyway … about a ‘life lived in service to the Imagination’, which Moat equated with the figure of Hermes. Moat, founder of the Arvon Foundation, was in the later stages of a terminal illness when he finished his memoir, and in the poignancy of this transition, a time when the god waits on us with compassionate equanimity, Clarke wrote a poem for his friend about Hermes. This poem, which now begins the collection, catalysed what Clarke modestly terms the ‘procession of poems, verses, squibs – call them what you like –’ that comprise these 50 pages of poetry. The poem’s tone and its form of ‘four quatrains held together by the regular use of half-rhymes to suggest the elusive nature of the god – something almost grasped but not quite – with occasional full rhymes echoing on his sudden presence’ set the style for the poems that followed in a swift and easy way ‘almost by dictation’. asleep in cardboard boxes on the street. itself as literally true … and nor, he thinks, should we. for our welfare while we sleep? from a cabinet of knives. While the gods are alive, so are we, and while Hermes dances, no one else can take over our imagination. Mythic archetype, narrative and pattern belong to this realm in ourselves, and their symbolism helps guide our way back to a life that has mystery, potential and zinginess. Many thanks to Anthony Nanson of Awen for making this unique and life-affirming collection available from one of our greatest lyric masters of language.